Provide comfort for the family of James Golliher with a meaningful gesture of sympathy. 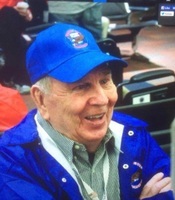 James L. Golliher passed to his heavenly home on Saturday February 2, 2019. He was born on August 23, 1927 in Galatia, Illinois to Allie and Eva (VanTrease) Golliher. He graduated from Galatia High School in 1945 and attended Southern Illinois University in Carbondale, IL. For a short time he followed in his Father's footsteps as a coal miner in Southern Illinois. Jim served his county in the US Army and was stationed in Korea, from April 1946 to October 1947. After his honorable discharge from military service he moved to Pontiac, MI where he met and married Mildred Hull on September 24, 1949. Jim and Millie built a life together with four children and lived in Kalamazoo, Richland and Decatur over the next 55 years. He retired from Fuller Manufacturing (Eaton Corporation) in 1984 after more than 30 years of service. Jim was an outstanding athlete in high school and played for many years on local Kalamazoo basketball and softball teams. His love of camping took the family to Schnable Lake in Martin, MI for many years of summer camping and to Pentwater, MI where he continued to camp every summer until his death. His greatest wish in his later years was for May 1 to arrive so he could head to Bass Lake and Whispering Surf Campground. He was always the first one there and usually the last to leave at the end of the camping season. On April 25, 2015 Jim had the trip of his lifetime to Washington, DC with the Talons Out Honor Flight. In one day he visited the World War II Memorial and many other Washington sites with other Veterans who had served America in military service. 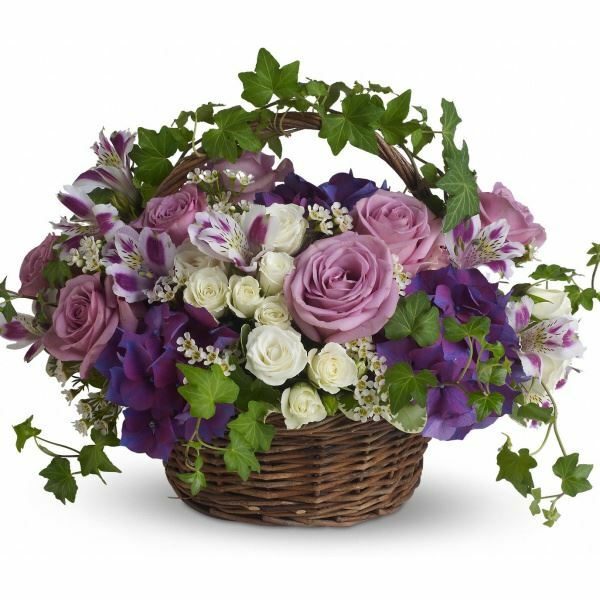 To send flowers in memory of James L. Golliher, please visit our Heartfelt Sympathies Store. Sheila Hull, Jim and Dawn Jaglowski, and others have sent flowers to the family of James L. Golliher. May all the memories of your time together fill your heart and bring you joy and happiness everyday. Thoughts and prayers to the Golliher family. Sheila Hull purchased flowers for the family of James Golliher. John 14:1-3. Praise God and His promises! I love and miss you but I'll always have the memories. 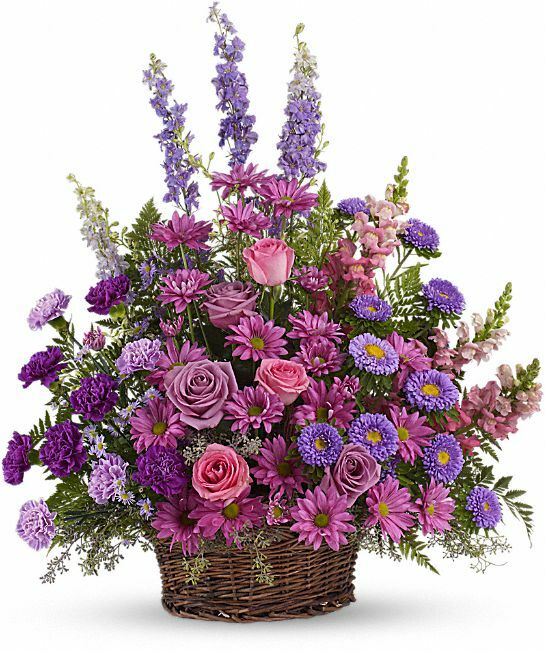 Jim and Dawn Jaglowski purchased the Gracious Lavender Basket for the family of James Golliher.